Throughout high school we were given several opportunities to visit different countries, and although now I would jump on the chance, my younger self wasn't quite bold enough to try canoeing down the rapids of the Ardèche or learning to ski in Ponte Di Legno. 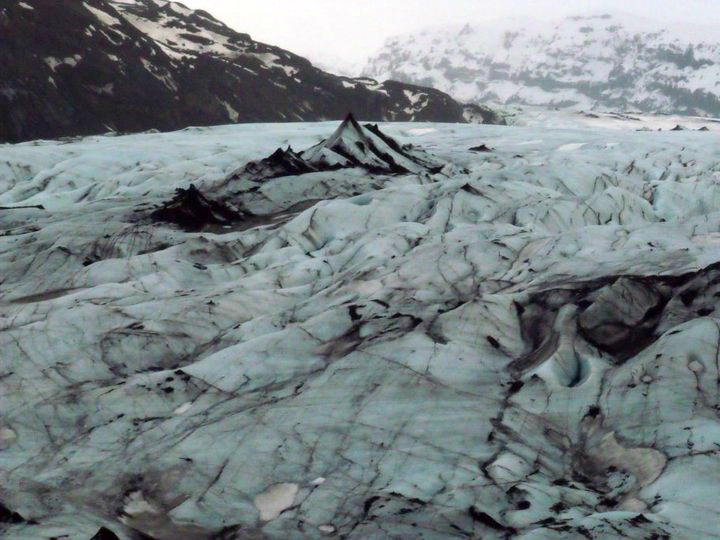 But when I heard that the school was planning a trip to Iceland, there was no hesitation in my mind. With volcanoes, geothermal pools, geysirs and the possibility of seeing the Northern Lights, there was no way I was going to pass it up. Within a few weeks I had signed up and put a deposit down, and the waiting game began. 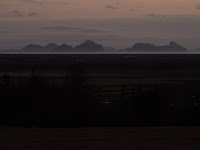 On the 18th of February my day started at 3 AM, and after a sleepy coach journey to Gatwick and a three hour flight, we arrived at Keflavik Airport. Our first stop was the Blue Lagoon. 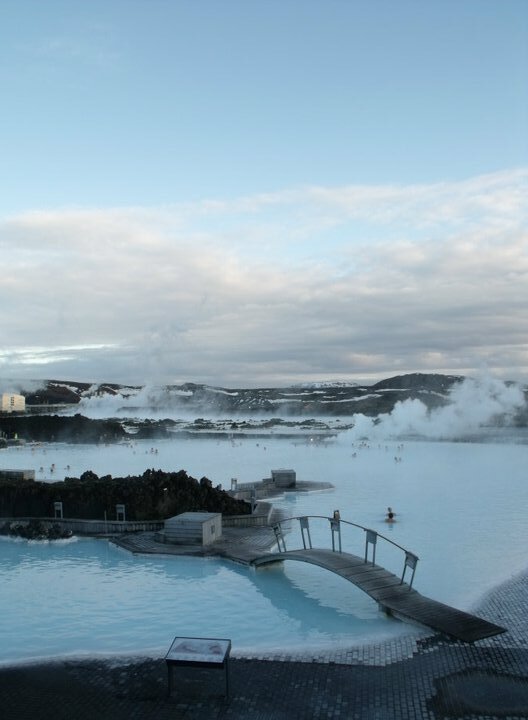 Originally a pool formed by waste water from the nearby geothermal power plant, the lagoon has grown in popularity since locals discovered the healing properties of the silica mud that lies at the bottom. Now it is an official site complete with spa facilities, steam rooms and a restaurant. Excited as I was, I was dreading walking from the warm changing rooms to the lagoon (it was around 0°C outside after all), but nevertheless I went with it. The 'walk' (which was actually only a few metres) was of course a little nippy, but the water more than made up for it. Geothermal power is used to heat the gorgeous cloudy blue water to around 40°C, and when this is combined with the rocky, snowy landscape, you end up with an experience like no other. Before heading back to our accommodation we stopped off at Krýsuvík. Krýsuvík lies above the mid-Atlantic ridge and as a result hot mud puddles have formed here which gurgle and bubble away (be warned, the abundance of sulphur in Iceland leaves some places smelling rather eggy, Krýsuvík included). The wind was bitingly cold that day so we didn't spend too long here, but it was fascinating to see the red, yellow and green landscape (a result of minerals in the soil) and the steaming, slopping puddles of mud. The next day we started out by visiting the organic greenhouses in Akur, where clean geothermal energy is used to generate electricity for the lights etc. One greenhouse was full to the brim with glossy, plump tomatoes and the earthy aroma of the vines, and another with beautiful roses in every colour. Each of us was given a rose on our way out, and I still have mine over two and a half years later. 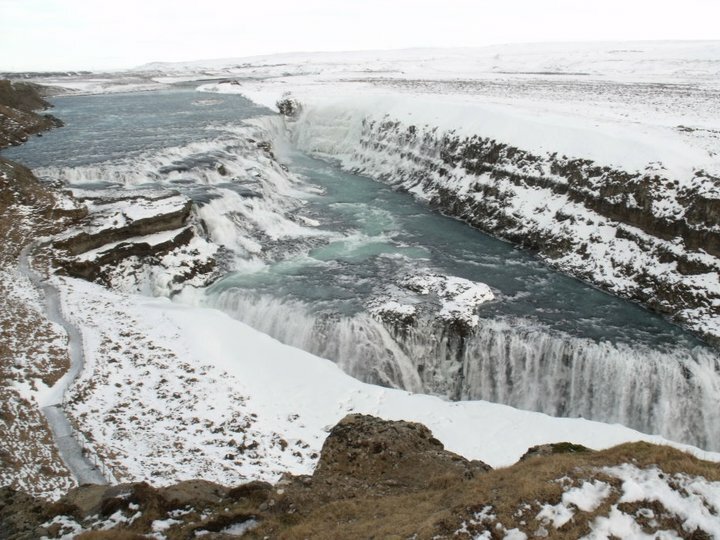 After an hour or so in Akur, we piled back onto the coach and drove to Faxi Foss, a 'small' waterfall. 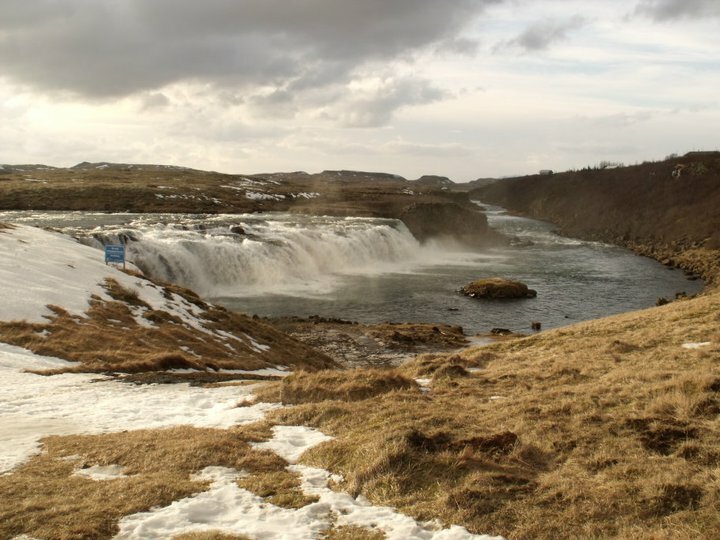 Compared to the waterfalls we get here in the UK Faxi Foss is by no means small, but after seeing more Icelandic waterfalls later in the trip, I can understand why the locals consider this one to be quite little. However, its size doesn't detract from its beauty at all, and with the sun casting warm, hazy light across the landscape this was a stunning stop. We then headed to Strokkur Geysir, one of Iceland's most famous attractions. 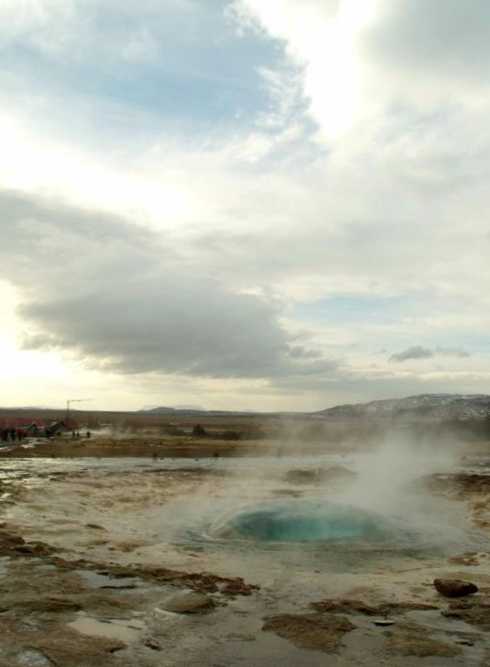 Geysirs are hot springs that have formed as the result of earthquakes leaving cracks and chambers in the ground, and as hot magma below the Earth's crust heats the water in the rock, pressure builds until the steam pushes the water upwards causing an explosive spectacle on the surface. This geysir usually erupts every 5-10 minutes, although sometimes it erupts several times in a row, as it did when we were there. This is fortunate for any budding photographers out there as it allows for plenty of opportunities to try and capture the bubble of the geysir as it erupts. The next stop was Gullfoss waterfall, and this really did take my breath away. After parking the coach we walked down to the viewing platform, and even from this distance the mist soaked us. The wind whipped our faces and our eyes were streaming but it was worth it for this incredible view. The next day we were supposed to visit Heimaey, a volcanic island south of Iceland, but the dock had been silted up by the 2010 Eyjafjallajokull eruption and so it wasn't safe to go. Staying with the volcanic theme, we paid a visit to Hekla, one of the most active volcanoes in Iceland. After spending some time in Hekla's museum, we drove towards Kerið, stopping off at a pumice quarry and a reconstructed viking house on the way. Kerið is a lake that sits inside the crater of a dormant volcano. 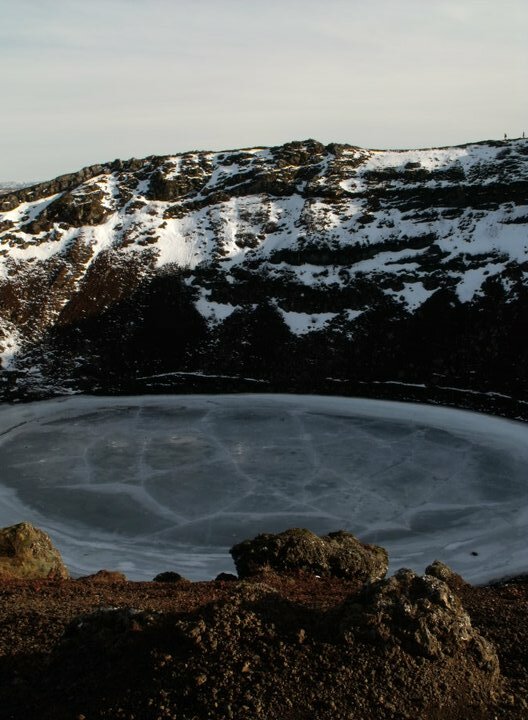 The walk up to the top of the crater is a challenging, but no matter how much your legs burn, the view at the top makes it worth it. 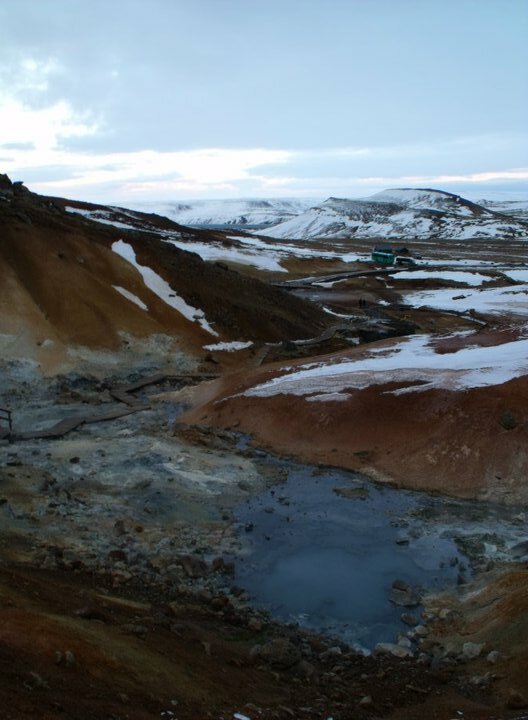 When we visited Kerið the lake was frozen and there was snow on the ground, but in the summer the lake thaws out and the snow melts to reveal vivid red and yellow rock. Kerið is a a very large formation; to put things into perspective, if you look closely on the right hand side of the photo you can see two people standing at the top of the crater. That night we went to bed just like any night, but at around midnight we heard frantic knocking on doors outside. Our room was at the very end of the corridor so we ignored it at first, but the knocking was getting closer. Names were being called and we thought maybe someone had gone missing, so we decided to head out and investigate. As I opened the door, a very excited friend burst into our room. "THE NORTHERN LIGHTS ARE OUT!" she squealed before running down the corridor. 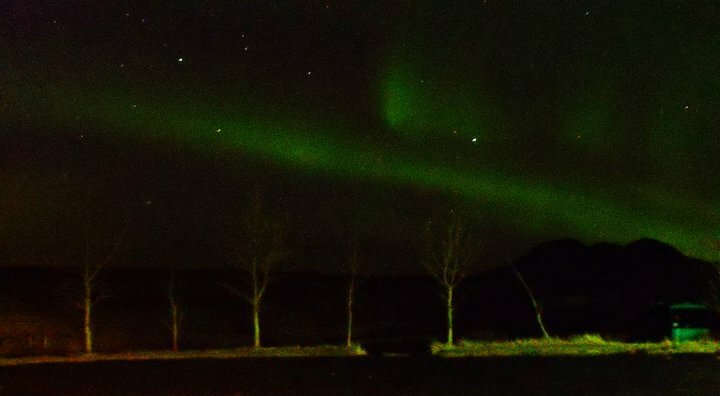 I asked our guide what was happening and she confirmed it - the Northern Lights were really out. My camera and jacket had been laid out on a chair every night since we arrived in preparation for this moment, and now it was finally happening. We all dashed outside, throwing on coats and gloves as we went, the sleep still in our eyes.When we got outside, there they were. 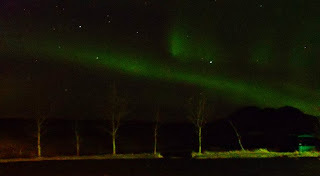 Streaks of emerald light in the sky, glowing and ethereal. 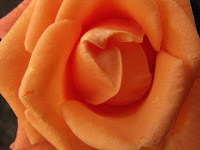 For a moment I forgot how to set up my camera the way I'd been trying to memorise for the past year, but once the initial awe settled slightly, I gathered my thoughts and managed to get a few snaps. There wasn't a single part of this trip I hadn't been looking forward to, but this was the moment. There I was, in an extraordinary country with a wonderful group of people, watching this extraordinary phenomenon. If you ever get the chance to see the Northern Lights, don't pass it up; it's absolutely incredible. The next morning we went to Thingvellir National Park, which sits along the fissure between the Eurasian and North American tectonic plates. We walked straight down the fissure, although you can actually dive along it, too.We spent a few hours walking around the park before heading into Reykjavík to do some shopping. 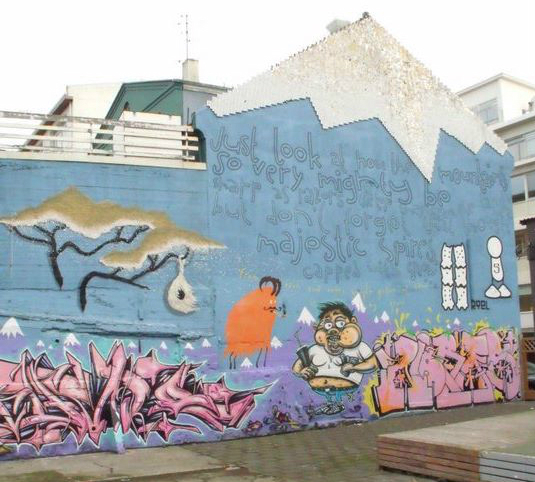 Reykjavík is a lovely city filled with quaint little shops and cafés, and there is a very arty feel to the city; even the graffiti is creative and beautiful. 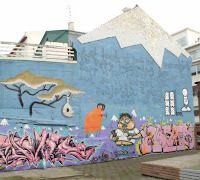 The city is easy on the eye with unusual architecture and multi-coloured houses, so there's plenty to photograph and look at while you're there. The following day was another day for waterfalls - first we visited Seljalandsfoss and then Skógafoss, which we were able to walk behind (something I'd always wanted to do!). Once we had spent a while at the falls we got back on the road and headed out to the Sólheimajökull glacier. To begin with we walked up a hill to get a better view, and we were lucky enough to see a double rainbow over the glacier. 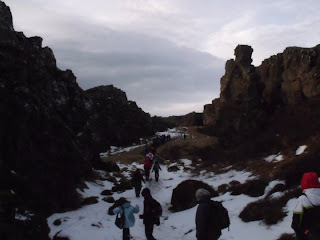 After lunch we headed back down to the coach to warm up and move a little closer to Sólheimajökull. There was then an opportunity for anyone who was interested to go and stand on the glacier and at first I was reluctant to go (it was cold and rainy and I had forgotten my gloves), but when one of my teachers said "Don't regret the things you do, regret the things you don't", I realised what an amazing opportunity this was, and I was off the coach and on my way over to the enormous icy formation that lay before me. Seeing the glacier up close was an surreal experience; with its caves, ice troughs and rocky peaks it was like nothing I'd ever seen. Our final stop for the day was the basalt beach at Vík í Mýrdal. Unlike the sandy or rocky beaches we usually see, this beach had black sand and large, hexagonal basalt columns. The next day was the final day, and the trip ended just as it had started; with a very early morning. 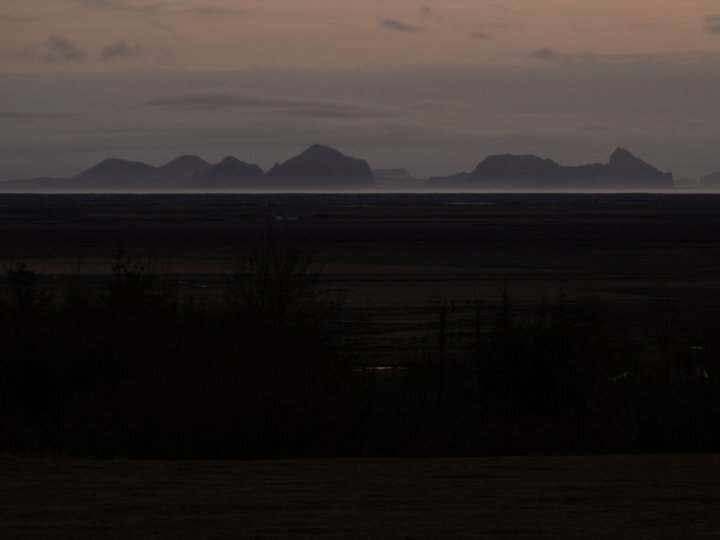 I was sad to leave Iceland as I had loved everything about it and really enjoyed my time there. If you ever get the chance to go there I would definitely suggest grabbing that opportunity by the horns! What has been your favourite travel destination?